The Loaded Container Handler is a super heavy-duty forklift which comes with a Cummins or Volvo Engine to handle those heavy loads. While the wet disc brakes improve the braking efficiency, the special gearbox ensures a reliable performance. The technologically advanced CAN BUS pressure sending electronic instrumentation gives you better on board vehicle status information, online supervision, display inquiry set up self diagnosis and self protection. From a choice between Heli or Kessler front axle to Rexroth and Parker hydraulics, there are various configurations available to you with specialized attachments. If safety is on top of your mind, we can even configure it for explosion proof applications. 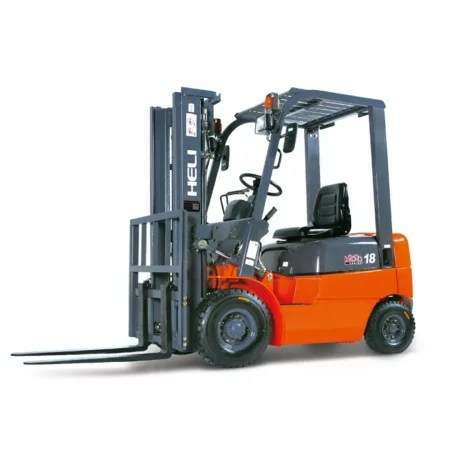 Give us a call and we can help you choose the best forklift that is suited for your requirements and your budget.